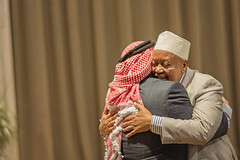 The Government has announced an increase to the Ethnic Communities Development Fund following the 15 March terror attacks. 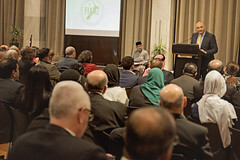 Minister for Ethnic Communities Jenny Salesa announced on 13 April 2019 that she will co-host a series of meetings across the country with key Muslim leaders. We recently spoke with Shirish Paranjape, a leader in the Christchurch community, to find out more about his governance board experience. The following organisations are available to provide those who need support in wake of the Christchurch terror attacks. The Office of Ethnic Communities Nominations Service supported Pengbo Jiang's appointment to the Department of Internal Affairs' Lottery Significant Projects and Community Facilities Committee. New Zealand youth are inspiring action on race relations in New Zealand. More of Us, released 21 March 2019, is a compilation of poetry written by 46 former refugees and migrants from 29 countries, all now living in New Zealand. The book was published by Landing Press, a small Wellington-based company that aims to publish good poetry for people to enjoy. 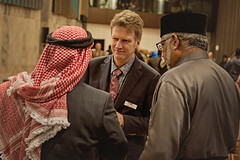 The book release was held at the National Library in Wellington by Michael Wood, Under-Secretary to the Minister for Ethnic Communities. New interactive, online tool will give government agencies, employers and media an understanding of superdiversity!